Could Do Better: Why Children Underachieve and What to Do About It. About Harvey P. Mandel (Author) : Harvey P. Mandel is a published author. 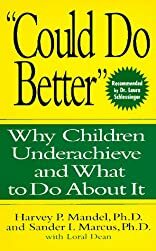 Published credits of Harvey P. Mandel include "Could Do Better": Why Children Underachieve and What to Do About It. About Sander I. Marcus (Author) : Sander I. Marcus is a published author. 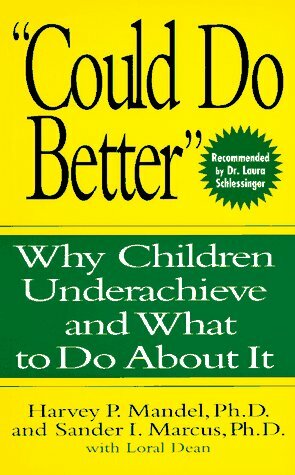 Published credits of Sander I. Marcus include "Could Do Better": Why Children Underachieve and What to Do About It.